The latest in my Epl Series. This is a game that we cannot begin to even think about not being prepared 100%. We need to send a clear message that the Hull fiasco was a one off. I expect the boys to come out a try to get a goal early. It wont be an easy game..but its one we absolutely can win. Willam Gallas breast cancer awareness sig by sawyer one of my favourite sig makers. A sig by Sheyras...quality...love it! 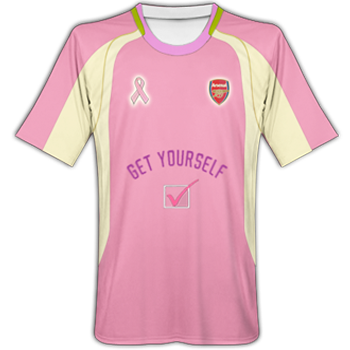 This sig was done from a Manchester United Fan for the Breast Cancer Awareness Series. I think its a wonderful gesture from a fan of a rival club. It shows the type of unity among designers and football fans that can come together for a common cause.